Bathroom storage is always in demand. Why not choose wicker cabinets to add a decorative touch and solve your storage problems? The cabinets are the ideal solution for your bathroom. 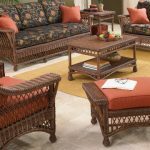 With so many options, including plastic, metal and wood, why choose wicker? 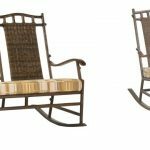 Wicker actually offers many benefits that other materials just don’t have. 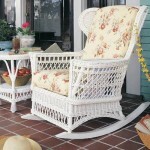 Easy to Hang – Wicker is easy to hang because it is lightweight. Often all you need are a few key attachment points and your wicker cabinet is secure to the wall. And when you move, it is a cabinet you can take with you. 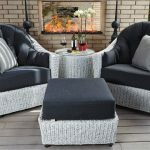 Durability – Wicker may look fragile, but it is extremely durable. 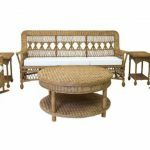 Natural rattan, a material many wicker cabinets are made from, grows in the jungle. It’s ideal for humid environments and won’t warp or bend. 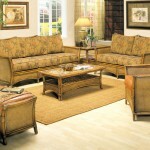 Attractive – Wicker comes in myriad colors, design styles and weaves. Regardless of your design tastes, you can find a wicker cabinet to fit your home’s decor. 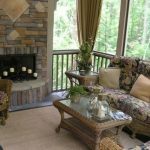 You can find modern wicker cabinets, country and traditional wicker cabinets and even wicker cabinets with an Asian or coastal theme. Two and three shelves – Cabinets come with internal shelves to store objects out of sight. How many internal shelves do you need? External shelves – Do you wish to display items too? Consider whether you want external shelves. If you do want shelves outside of the cabinet do you want them on top of the cabinet, underneath the cabinet or both? Remember that if you have an abundance of shelves under the cabinet, then the cabinet must be placed higher on the wall. You may need a stepstool to reach items placed at the top. Positioning – Some cabinets stand right on the floor. They’re tall like armories or portable pantries. Other cabinets are wall mounted and still others stand on legs and can be placed over the toilet. 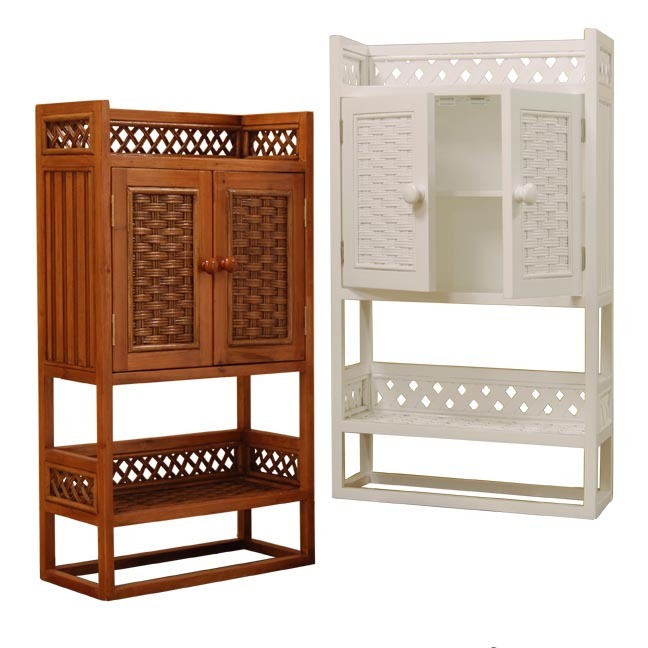 In addition to size, function and placement you’ll also want to look at the material the wicker cabinet is made from. 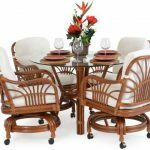 Rattan is durable and it’s a natural fiber that deals well with humidity. 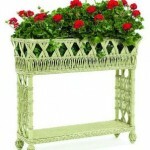 You can also find wicker cabinets made from resin and other man-made materials. Look for cabinets that have a magnetic closure to ensure the doors stay closed. And buy your bathroom wicker cabinets from reputable dealers and wicker re sellers to ensure you’re buying the best quality wicker for your home.